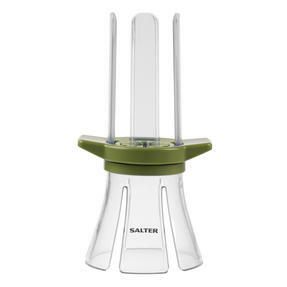 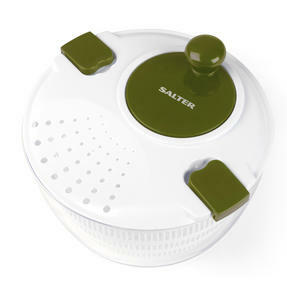 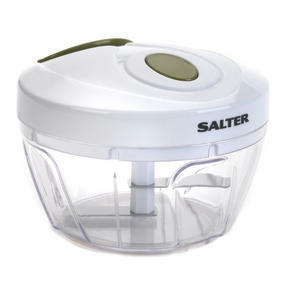 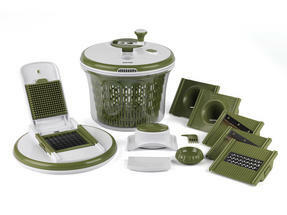 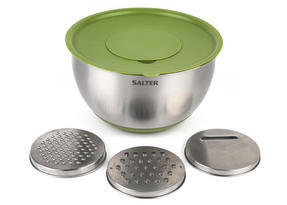 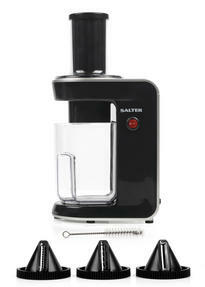 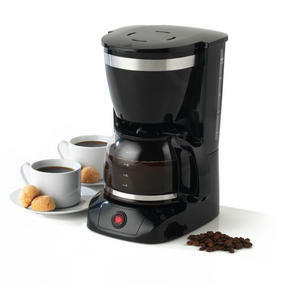 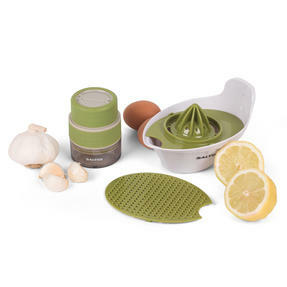 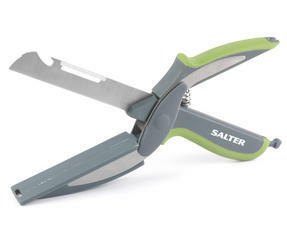 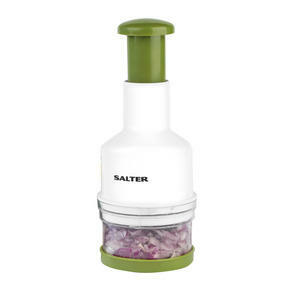 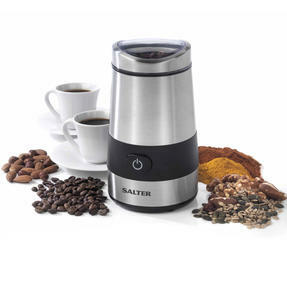 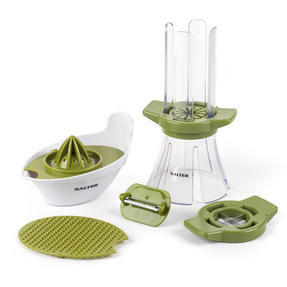 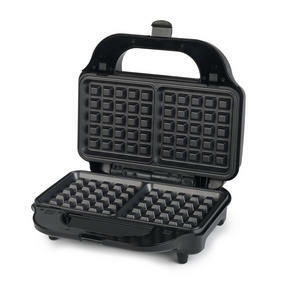 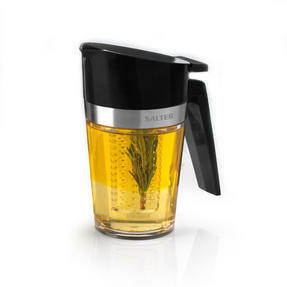 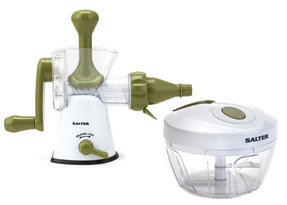 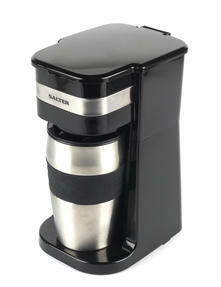 Enjoy easier food preparation with this two piece Salter prep set featuring a press chopper and a salad spinner. 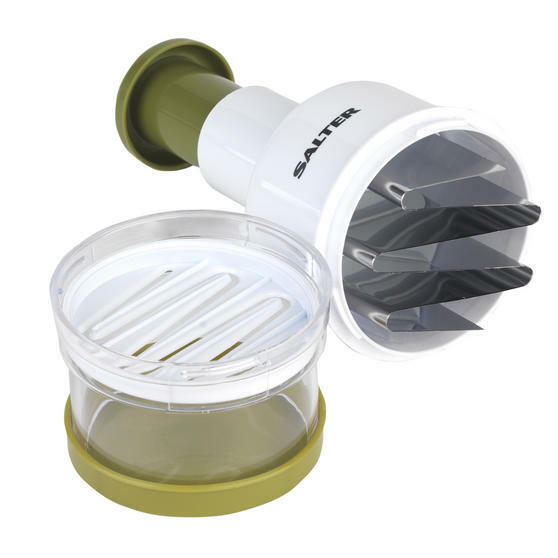 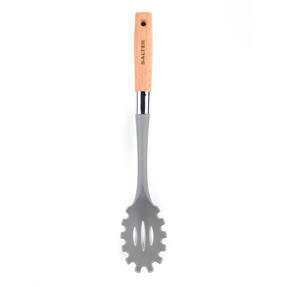 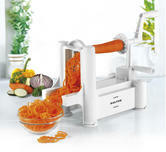 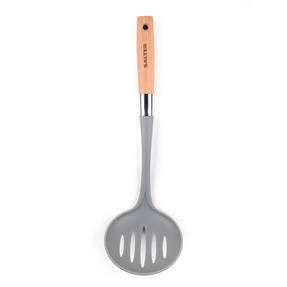 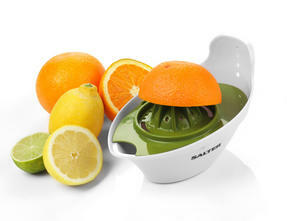 The press chopper is ideal for chopping fruit and vegetables with no mess and will keep the food contained during use to save on the cleaning up and will enable you to slice without any lingering smells on your hands. 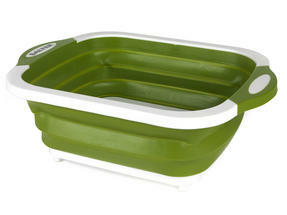 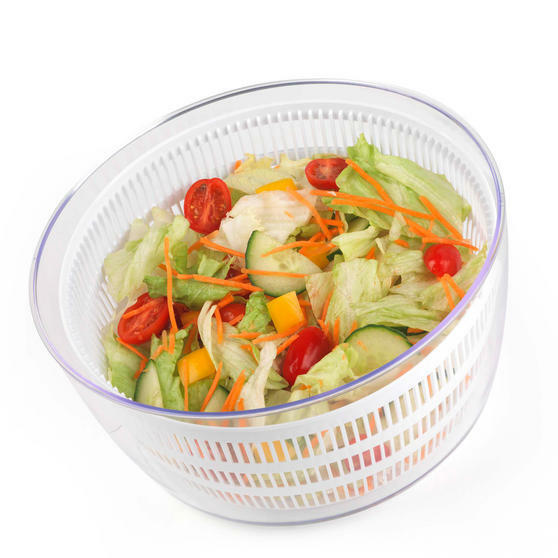 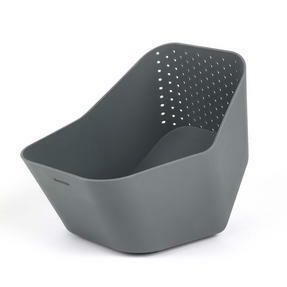 The salad spinner enables you to dry freshly washed salad, releasing the water and containing it in the outer bowl, leaving the mixed salad to sit on the slatted layer. 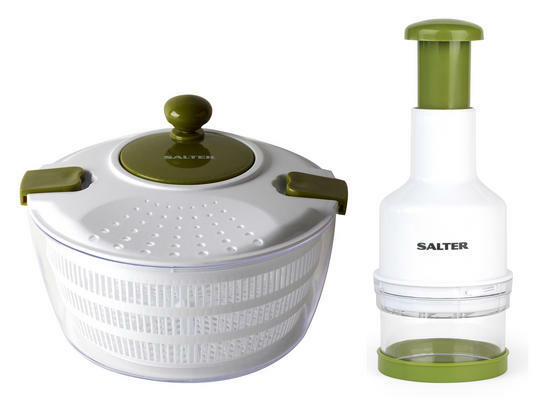 Prepare fruit and vegetables quickly and efficiently for any meal with this two piece Salter press chopper and salad spinner set. Place vegetables such as onions into the chopper bowl and press the top down to slice the food using the stainless steel blade. 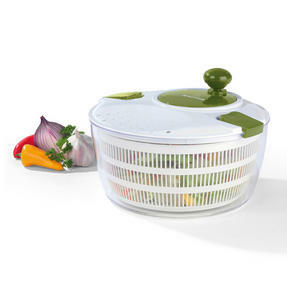 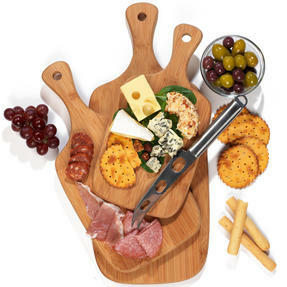 The chopper measures 8.2l x 8.2w x 22.5h cm and is easy to use, making it faster and safer than a traditional knife and chopping board. Measuring 24.3l x 24.3w x 16.3h cm, the salad spinner is ideal for mixing and drying salad for a delicious accompaniment to a meal.